But when you actually do give all of yourself to the Lord. you find out he’s far more than you ever imagined him to be. 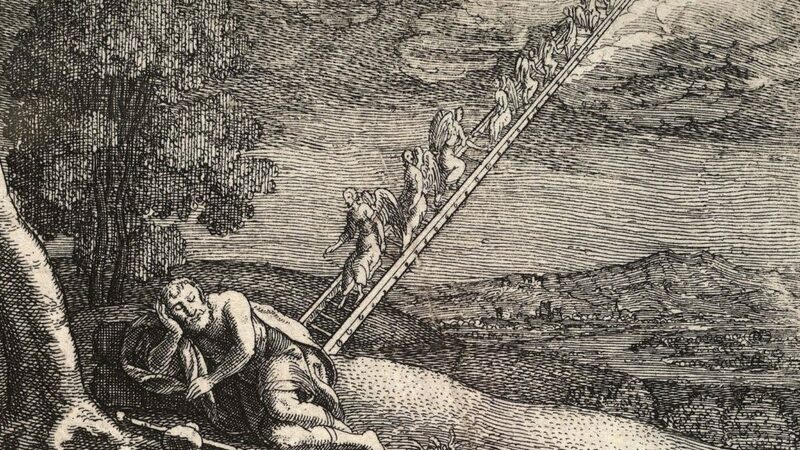 When Jesus says Nathanael will see angels going up and down on the Son of Man, he’s talking about Jacob’s ladder. The Old Testament patriarch had seen a vision of a great ladder between heaven and earth with angels going up and down between the two realms. Sin had created a barrier between heaven and earth, between God and his creation. But Jacob has this dream that someday there will be a way between heaven and earth. A way into the very presence of God. A way for God to live with us and for us to come to God. Jesus is telling Nathanael, “I am that way!” Jesus is the bridge between heaven and earth, between us and God. Jesus is always more than anybody’s looking for. He always exceeds our expectations. He doesn’t just have all the answers to the big questions; he IS the ultimate answer to every question. “I tell you the truth,” he says. And we can trust him.